Be a part of the main event at Boston’s first-ever dark dining experience. 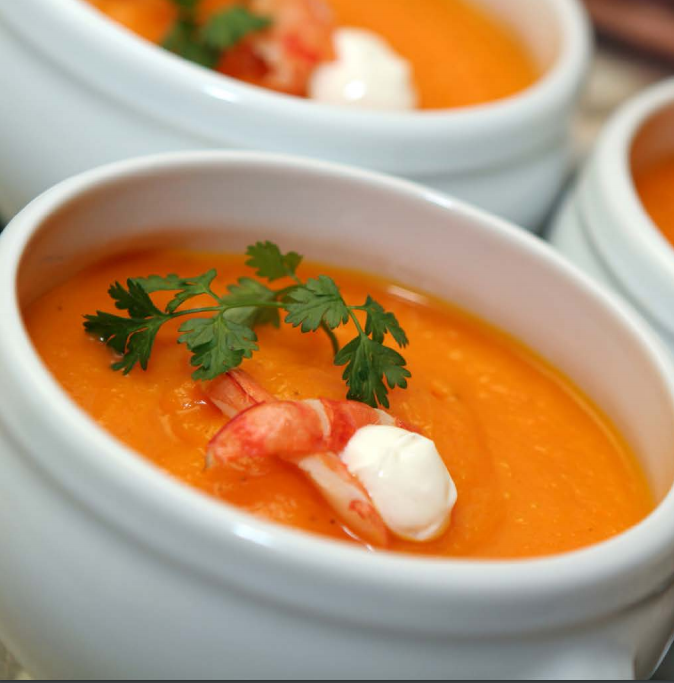 Hampshire House will host Dining in the Dark on Saturday, Feb. 13 and Sunday, Feb. 14 from 6 to 9 p.m. for an out-of-this-world Boston Valentine’s Day date. This unique, darkened dinner gives diners the chance to embark on a journey of the senses. Guests will be blindfolded upon arrival and will be guided through a journey of fine foods, tantalizing aromas and inspiring music. Your ticket includes a four-course dinner set amidst a storytelling experience and musical display that ties together the theme of the evening. alcoholic beverages or a ticketing fee. Click here to purchase your tickets and secure your reservations. Contact us for more information. 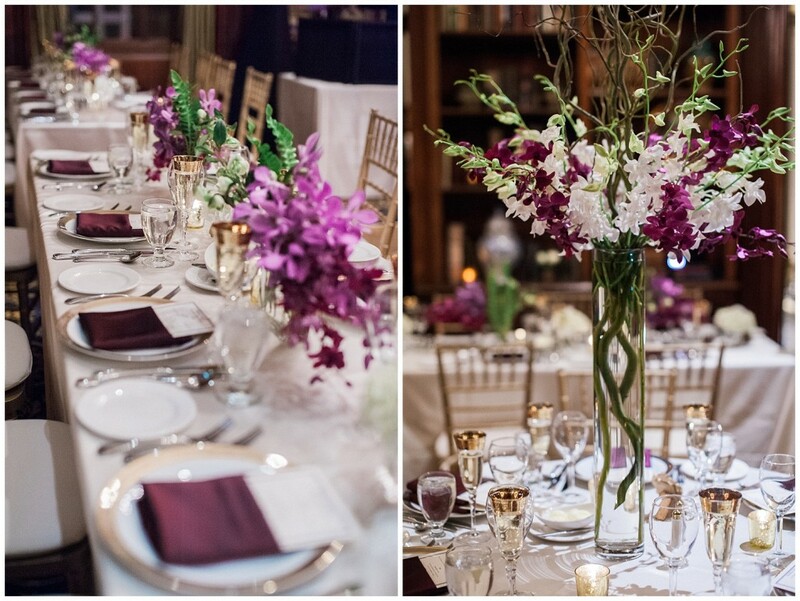 On January 14, 2016 the Hampshire House was mentioned in the Boston Globe article, Where (and why) to Have a Small New England Wedding, written by Jaci Conry as one of the best locations to have a luxurious, intimate wedding in New England. 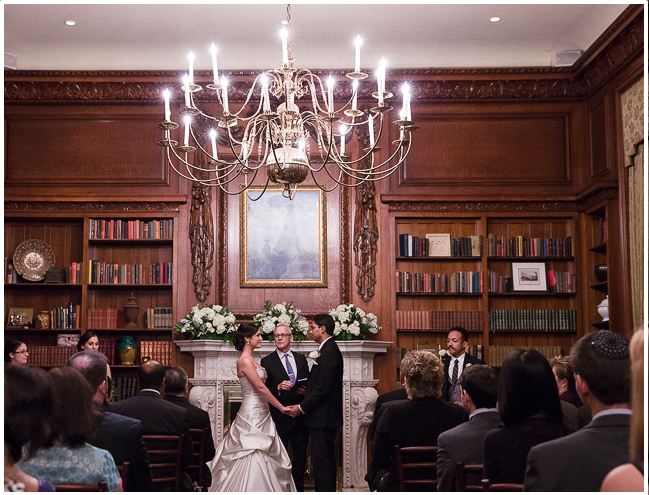 Highlighted were the amazing views of the Boston Public Gardens through the Paladian windows, and the beautiful backdrop of the elegantly carved bookshelves in the library, where many of the receptions are held. 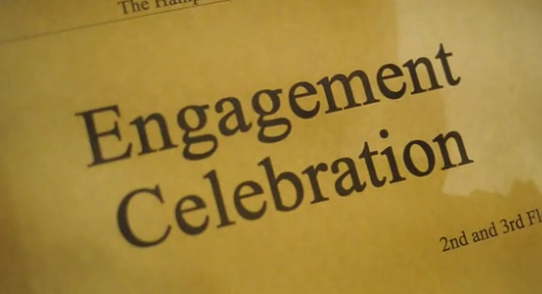 To find out more information on planning the perfect wedding with Hampshire House, take a look at the engagement celebration planned for January 28, 2016. Calling all brides-and-grooms-to-be! 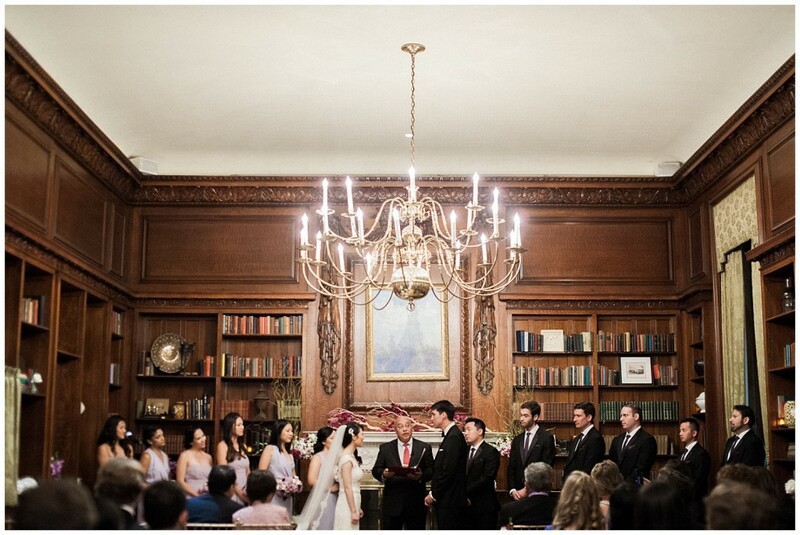 Join a choice list of wedding vendors, staff and wedding planners at Hampshire House for a one-night-only wedding open house set in the historic Hampshire House on Beacon Street. On Thursday, Jan. 28, 2016 from 6 to 8 p.m. you’ll get the chance to experience first-hand the beauty and elegance of Hampshire House, Beacon Hill’s most enchanting turn-of-the-century estate. This elegant, garden party-themed event is also a great chance for couples who have already booked Hampshire House for their big day to mingle with our staff, get comfortable in the mansion, and meet and greet the area’s best vendors. All guests will receive complimentary food and cocktails plus one-on-one access to valuable wedding industry professionals who can make that special day an event to remember. The garden party theme is sure to impress engaged couples who dream of bringing an outdoor spirit to their indoor venue. Play a game of croquet upstairs or meander in and out of rooms to experience the meticulously restored, Georgian charm of our historic estate. You’ll get to have fun while checking off essential wedding planning details — from nailing down your photographer to developing a décor scheme. This isn’t your average wedding event. We have hand-selected the area’s best vendors for a curated bridal event that’s not overwhelming or cliché. You’ll get the chance to meet with top performers and DJs, photographers, florists, wedding officiants, designers, make-up artists, bakers and an insider from Boston Wedding Magazine. Browse our complete list of vendors below to learn more about these great professionals. To RSVP, click here or call 617-854-7627. The event is free of charge for invitees, but be sure to reserve your spot today to ensure that you’re on the list. The team at Hampshire House has hand-picked our favorite vendors to show at this special event. There’s no wedding planning element we haven’t accounted for, from your morning-of prep to your late-night playlist. You won’t have to weed through reviews online or booths at oversized bridal shows to find the best-of-the-best wedding vendors in Boston. Whether you want a traditional DJ to give your reception a night club feel or prefer something a little more formal and ethereal, you’ll find complementing sounds with this list of vendors. These entertainment pros will have their equipment, and in some cases, their performers, on display. From traditional wedding photographers to wedding cinematographers, these outstanding wedding photo specialists will help you immortalize your vows and reception. See what fresh flowers, unique arrangements and a themed, floral touch can do to transform the ambiance at your wedding with these fantastic florists preferred by Hampshire House. It’s rare that you get the chance to meet with a marriage officiant without an appointment, so we’ve taken care of that, too. 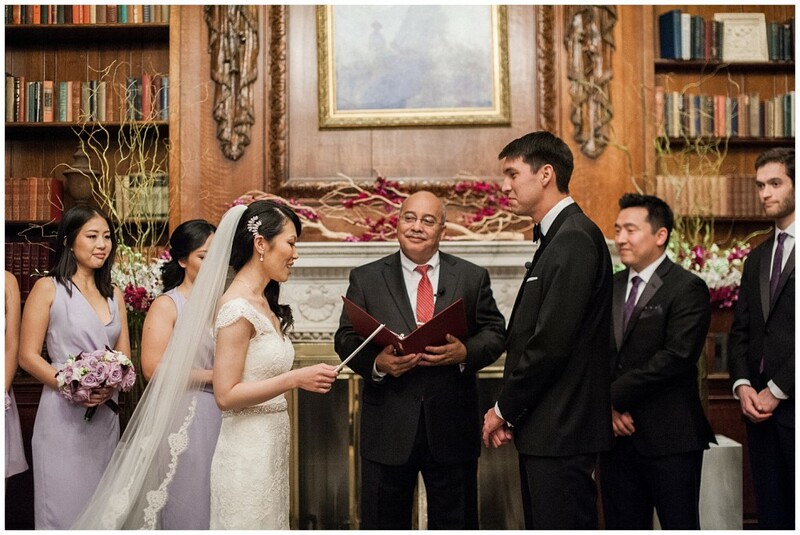 Meet with these justices of the peace to see if they’re the right fit for your vows. Let these wedding design professionals show you first-hand what a designer’s touch can do to your space. 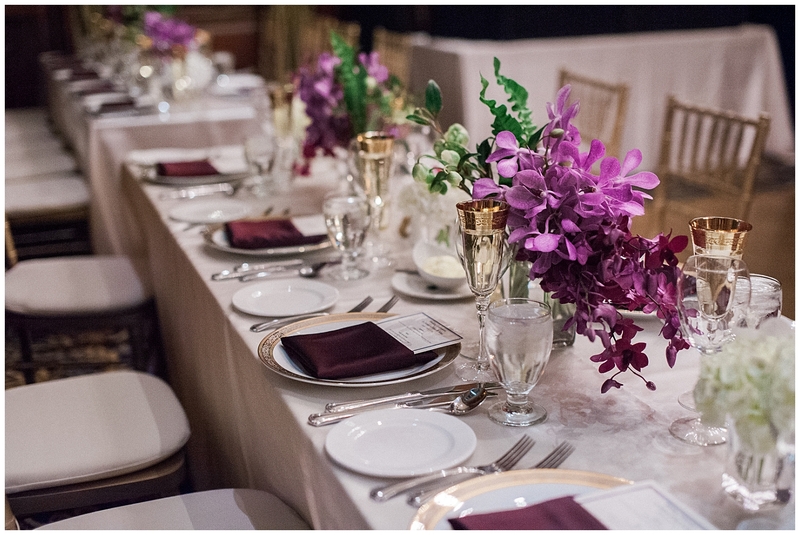 Meet with our favorite local rental companies, wedding planners, lighting specialists and invitation designers. 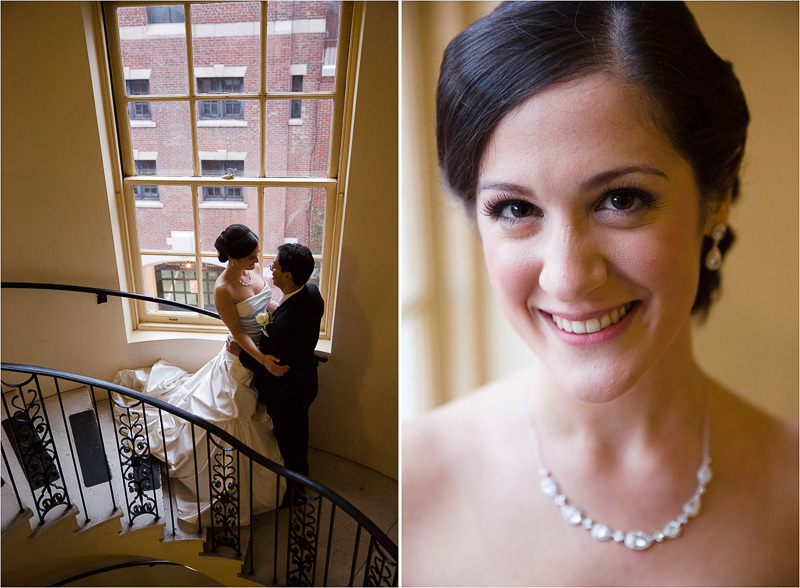 Let a professional makeup artist doll you up before you say “I do.” Katrina Hess can assist you and your bridal party with professional makeup services using traditional makeup application techniques. 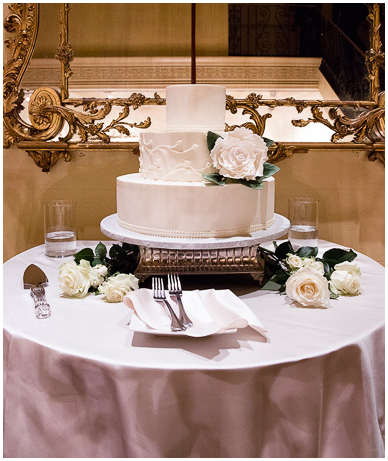 View and taste gourmet wedding cakes, pastries and other goodies by Cakes To Remember. 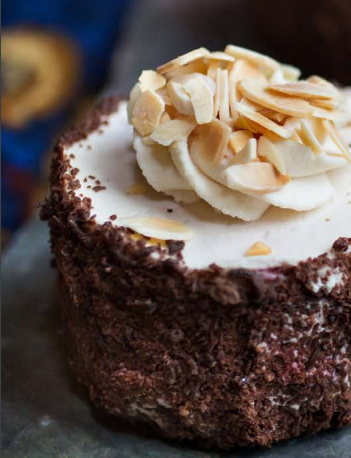 This Brookline-based baker can surely handle your one-of-a-kind wedding cake vision. Mingle with Boston’s wedding authority — Boston Wedding Magazine — to get the inside-scoop on all things bridal in Boston. Please bear in mind that these items represent only a partial menu. 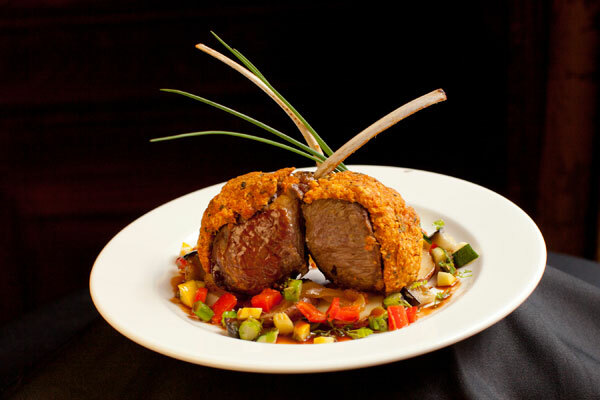 Other items offer a range of gluten-free dishes as well. Please consult the complete winter menu to resolve your final decision-making. BEEF TENDERLOIN MEDALLION AND HALF – LOBSTER TAIL petit vegetables, fingerling potatoes, citrus butter sauce (Add $4.00 per person). CHOCOLATE KIR ROYALE – Chocolaty devil’s food cake filled with a rich dark chocolate raspberry filling and frosted with Chambord champagne buttercream. THE RETRO – An update on an American classic: moist yellow cake filled with milk chocolate mousse frosted with Tahitian vanilla buttercream. RASPBERRY CREAM – Traditional white wedding cake filled with a tart raspberry cream, frosted with a creamy vanilla buttercream. STRAWBERRY ORANGE BLOSSOM CAKE – Orange Grand Marnier cake filled with a summer fresh strawberry buttercream, frosted with orange blossom buttercream. Please bear in mind that these items represent only a partial Wedding Cake menu. Please consult the complete winter menu to resolve your final decision-making. UNION SQUARE DONUT BAR – small batch Artisan donuts from our local bakery. Select from: brown hazelnut crunch, vanilla bean, sea salted bourbon caramel, toasted coconut, maple bacon, Boston cream. HAMPSHIRE HOUSE COOKIE JAR – house baked chocolate chip, chocolate crackle, oatmeal raisin. 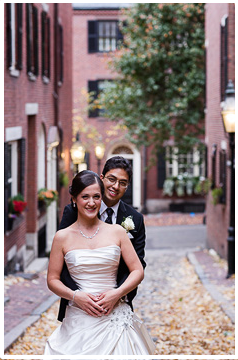 Mian and Matt were recently married at Hampshire House after first completing a wedding photo tour at Boston’s Park Plaza Gardens. The nuptial exchange transpired under the cozy roof of the Hampshire House, and it was followed by a subsequent reception. 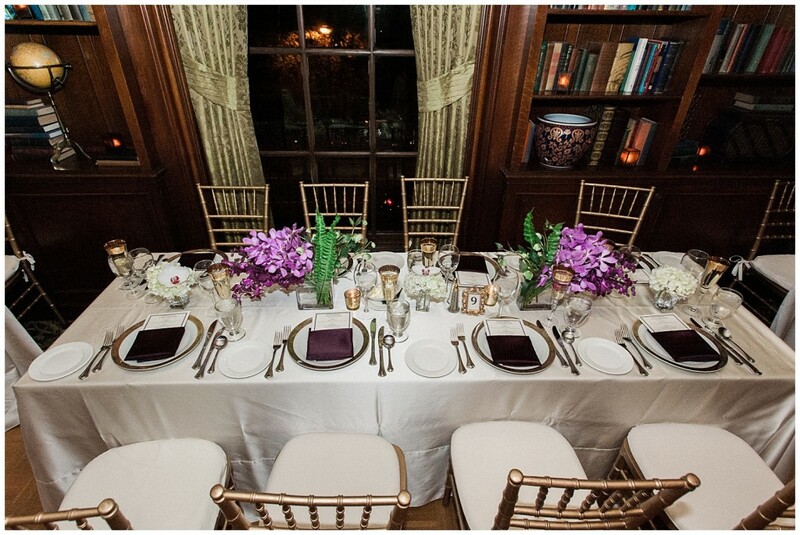 In typical style, the event left guests noting the building’s charm and warmth. Shannon Grant offered her intimate photographical portrayals of the event, ranging from garden and cityscape vistas, to more sensitive and reflective imagery. Grant is a renowned wedding photographer that manages to imbibe her talents into each picture she takes (much to Mian and Matt’s good fortune). 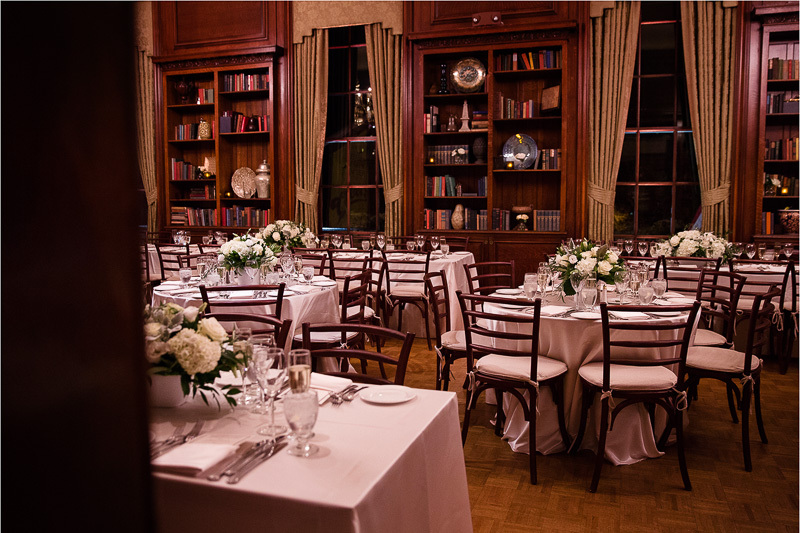 Built in 1910, the Hampshire House has played host to countless weddings, galas and other special events, slowly building a reputation for being Boston’s premier location for intimate special events. 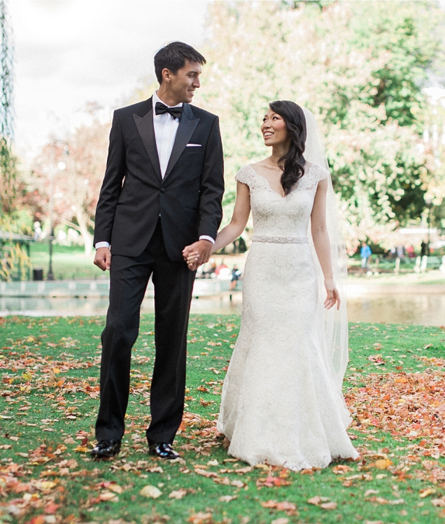 The venue offers the perfect backdrop for couples — like Mian and Matt — that are looking to create an unforgettable experience for guests. 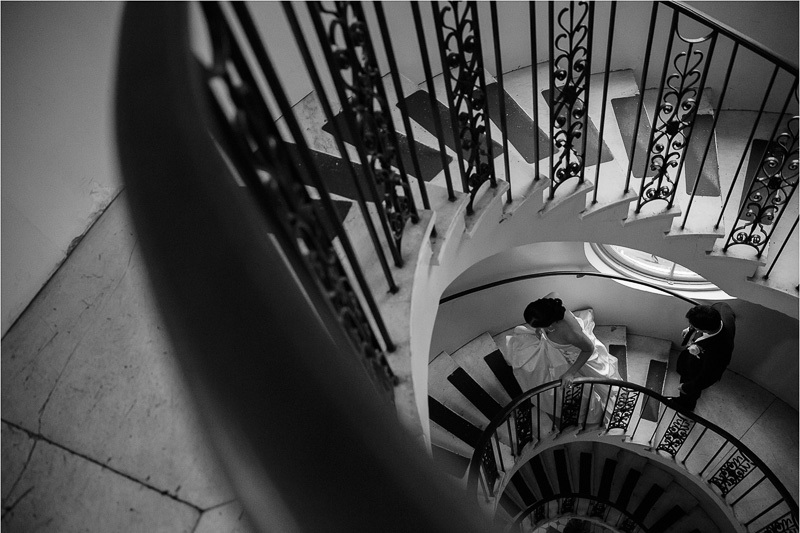 And thanks to its Beacon Hill location in the heart of Boston, Hampshire House is able to offer all of the benefits that come with being nestled in cosmopolitan city since 1910. While the old saying suggesting “something old, something new, something borrowed and blue,” may be a tried-and-true wedding tradition, there’s no reason that you can’t add your personal touch to these time-tested categories. At Hampshire House, we’re here to help you do just that. Consequently, we thought we’d take a look at various unique ideas from a host of wedding thinkers. How about incorporating historical stamps, postmarks, or other personalized family letters, particularly if these written missives involve parents? Integrate antique furniture items or other family-home items with the wedding party. 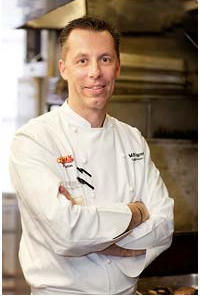 Develop a complete family recipe book to remember personal cuisine and/or particularly noteworthy meals. Rent an exotic car for the bride and groom, like an Aston Martin Vanquish or one of Enzo’s Ferrari’s. 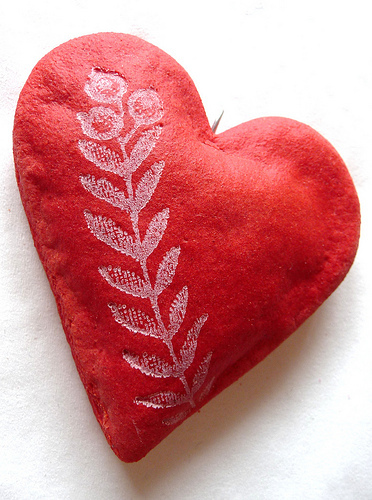 Craft a remembrance artifact like an engraved vase, plate, or wooden accent items. How about a historical rocking chair, marked with the wedding anniversary date? How about family heirloom items such as pocket watches, rings, brooches, or other relevant personal items? If you have friends or family members who have access to classic vehicles, ride them to and from the wedding in style. Some likely types include the ‘65 Ford Mustang, ‘55/57 Chevy Nomad Station Wagon, ‘40 Ford Woody, or even a Harley Davidson with a sidecar. Incorporate various pieces of music from the parent’s wedding. 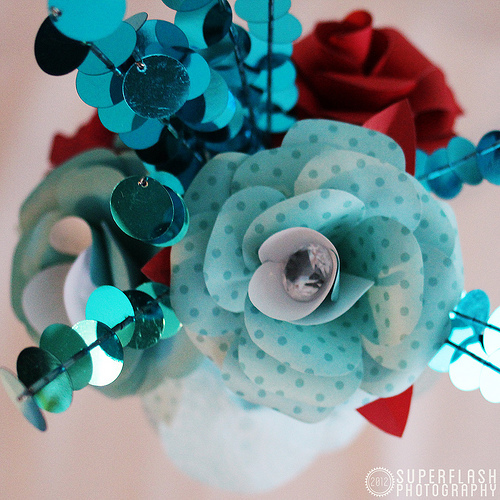 Add the color blue throughout the event including paper-blue flower arrangements or table accents. Use a blue limousine when getting to and from the wedding. Ensure that the first toast of the evening includes blue glass bunting or ribbon throughout. There are a number of other ways to add new and unusual elements to this tradition, while still offering something never before seen. Illusionists Joel Acevedo and Steve Kradolfer. Image from The Boston Calendar. 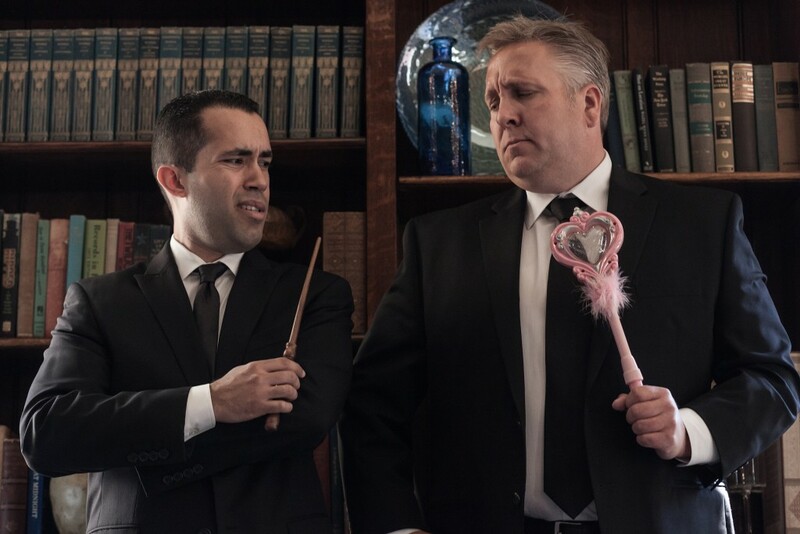 January 24, 2016 will mark a particularly magical evening at Hampshire House, when Joel Acevedo and Steve Kradolfer will share their renditions of close-up magic in front of an intimate audience of 50 guests that will be challenged to keep up with the prestidigitation. A show ticket will entitle you to a 30-minute pre-show reception that will feature light hors d’oeuvres, as well as access to the Baker Bar, where you can purchase exquisite drinks at an additional cost. Following the pre-show reception, the audience will move to the Library for the show, where guests will only be a few feet away from the action — guests are certain to experience the magic with no barriers. 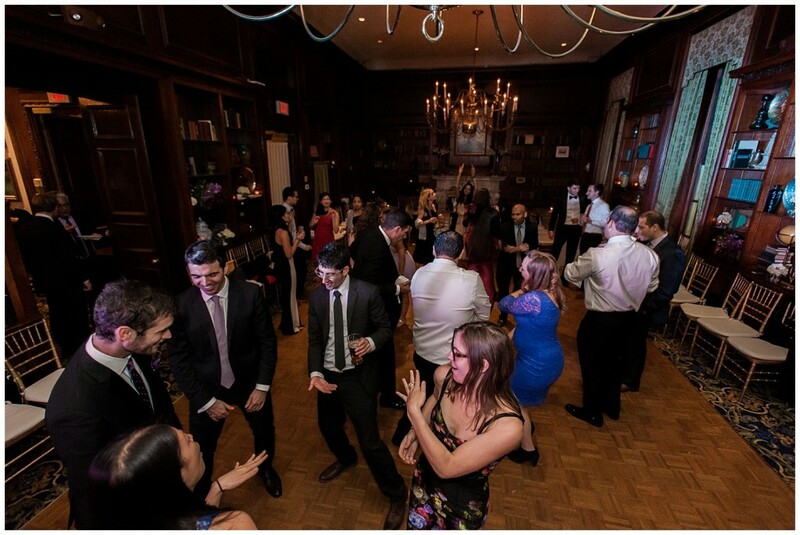 Hampshire House is committed to bringing special events to guests that are looking for engaging entertainment. 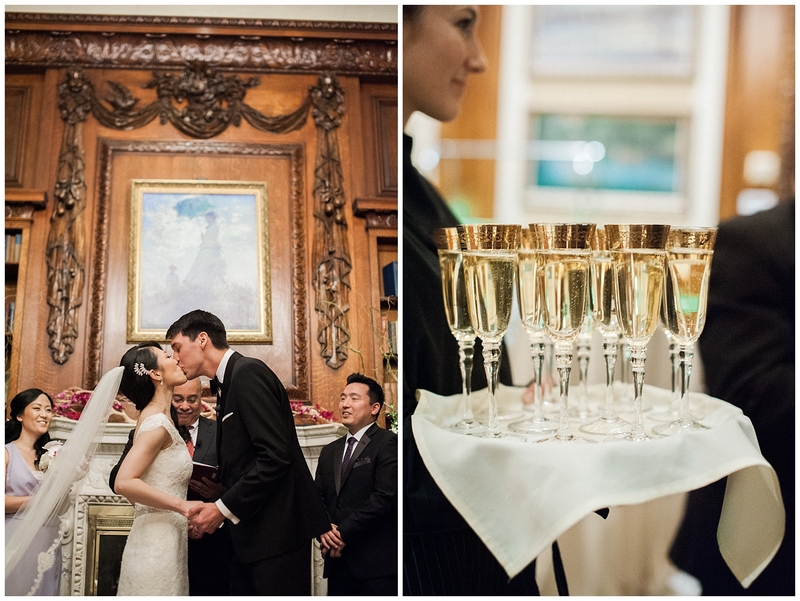 Built in 1910, the venue itself is unmatched in its charm and regalness. For more than a century, visitors have enjoyed the building’s amenities and its central location in the heart of Boston’s bustling Beacon Hill area.